now that football season's over (you know what I'm talking about), we can get back to concentrating on music again. saw Kurt Wagner's show at Joe's Pub on Wednesday and MGMT and Beck at the United Palace on Thursday. 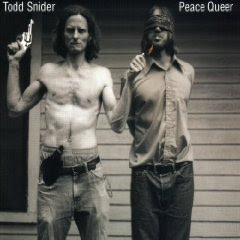 and yesterday (October 11th) was Todd Snider's umpteenth birthday. and to celebrate he's giving away a free download of his upcoming 8-song EP Peace Queer through Hallomaween. Todd will be in town (like the rest of the world) the last weekend of the month (CMJ), including a free show at the Borders at Columbus Circle on Friday evening October 24th around 7 p.m.